An Introduction to British Wildlife and Habitats, for 12 - 16 year olds. This course comprises 10 activities for 12 -16 year olds based on the GCSE Biology and Geography curriculum. Activities are sensitive to age group and level of understanding. The activities are designed to stimulate an interest in the natural world and to provide practical understanding of a variety of topics. A wide variety of digital resources for teaching and follow-up activities are available on the Trust website (www.go.to/offwell). Weird and wonderful wildlife is not just something that we see on television documentaries made in far away places. It is all around us. This activity will look at the wonderful biodiversity of British wildlife, which usually passes almost totally unnoticed. 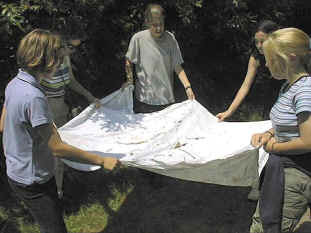 Students will search for and look at a great variety of organisms. Ranging from ciliates and rotifers in a drop of pond water, to the invertebrates in rotting wood and on moss-covered tree trunks, with many more in between. Microscopes are provided to allow an entirely different view of a usually unseen world. Seen under a microscope, many small organisms are revealed to be extraordinarily beautiful and or, as strange as an alien from outer space. The aim of the activity is to stimulate a broad fascination and curiosity in the world around us. This activity brings classification to life. 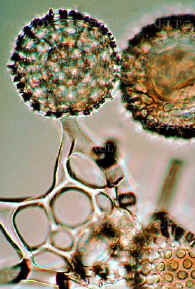 Students will collect and look at a fascinating variety of plants from spectacularly beautiful microscopic diatoms to filamentous algae and mosses, ferns and flowering plants. A diverse range of amazing invertebrates will also be collected and identified to an appropriate level with the help of identification keys. The use of keys will be explained. The different groups of vertebrates and their characteristics will also be discussed, as will growth and metamorphosis in both vertebrates and invertebrates. The aim is not to familiarize students with large numbers of species names, but to give them the tools and understanding to enable them to recognize which particular group an animal or plant belongs to. This is a skill which is particularly lacking in the modern world because of our increasing isolation from the countryside and nature in our daily lives. Pictures in books give no idea of the three dimensional nature of organisms. Seeing them in real, living, 3D brings the subject out of the realms of dry and dusty textbooks and into real life. There has been life on earth for four billion years! This topic will look at the amazing variety of life from a historical perspective. Why is there such an astonishing variety of life around us? Where has it come from? What happened to all the life that has gone before? Why don't organisms stay the same? What timescales are we talking about? This activity will cover genetic and environmental variation and evolution. 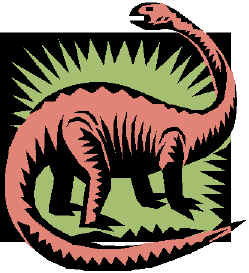 The fossil record, mechanisms for evolution and extinction of species will all be discussed. Students will collect a wide variety of plants and animals from both aquatic and terrestrial habitats, which show a number of fascinating adaptations to their environment. These will include adaptations to extremes of temperature and water availability, feeding, breathing, avoidance of capture by predators and reproduction. The adaptations of both aquatic plants and drought-tolerant plants, representing opposite ends of the scale of water tolerance. The incredible body forms produced by different organisms through camouflage and mimicry. The often extraordinary adaptations aquatic invertebrates have for breathing and movement. 4. Pollination and Seed Dispersal in Flowering Plants. A look at the wide range of different flowers and their adaptations for ensuring successful pollination. From certain orchid flowers which mimic females of insect species (even down to producing the right insect pheromones to ensure pollination!) to the very different flowering structures developed in wind pollinated flowers. How do insects see flowers? The differences between insect and human eyesight and the added insights that this gives us when studying flower structure and colours. A wide variety of different flowers will be looked at in their natural habitats. Pollination studies naturally lead into looking at the dispersal of the seeds which are a result of pollination. The mechanisms involved, such as wind, water, animal and explosive, and the adaptations which have evolved to facilitate these dispersal techniques will also be investigated.